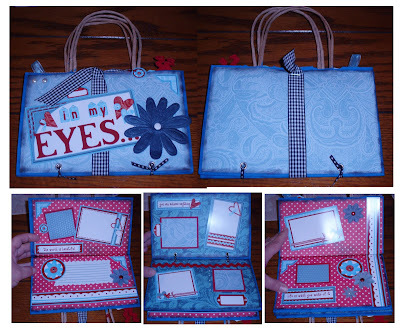 Need a quick gift idea...check out this adorable mini album made from 2 gift bags. I painted mine blue because they were different colors but you do not have to. Embellish them with fun goodies and add some photos inside and there you go...you have an awesome gift that anyone would love!! Thanks to Storytellers Club for the cute idea!! Croppin in the hospital- why not? So my oldest baby landed in the hospital with pneumonia last week. It was pretty scarey and thank God he is fine now. While I was at the hospital I decided to do a little scrapping to lift my spirits. And here is just 2 of the layouts I managed to get done. I think I did a total of 10 layouts- plus finished some calendar pages for a swap- in the 48 hours I was there. What did my kid do you may be asking...well he had the video game cart all to himself and was pretty pleased with that! Attention all Scrappers!! Storytellers Club is hosting their annual Fall Cyber Crop this weekend! Come join in the fun starting tomorrow and lasting through Monday. There will be games, contests, and of course prizes!!! These candy bars were specially made for the Cricut Swarm in Salt Lake City this weekend. I am so excited! Gonna be amazing! The candy bars are one of 3 swaps they will be doing. I made these with some inspiration from another blogger. Since I am going to the Cricut Swarm in Utah I need to take some 3x3 cards. What could be better than carrying my "Wild" theme over to these cute cards that personalize who I am? Includes a lil box to hold 12 of my calling cards. I used Storytellers Club Zoo kit and bazzill. Cut the title with Life's a Beach Cartridge. Postage stamp Mat also cut with Cricut. Added ribbon, flower, staples, and a brad. Did I ever mention how fun the swaps are on the Storytellers Club Boards? Currently besides the Calendar Swap, I am also in a Christmas Tag Swap. How fun to get back all those fabulous tags for Christmas gifts!! Title made with "Designers Calendar"
Bus made with "Locker Talk"
My Monster's on Halloween in 2009. Scarey!! You gotta love this fabulous kit by Storytellers Club. Adding some metal elements, brads, and a great sketch and this lo came out great! Don't ya think? I used the George Cart for the title and Locker Talk to create the school bus. The printed paper is a Storytellers Club Exclusive. This adorable Lady Bug layout uses Cherry Limade for the font and Lady Bugs from Just Because Cards. Salt Lake City here we Come!! Pin It So excited!! 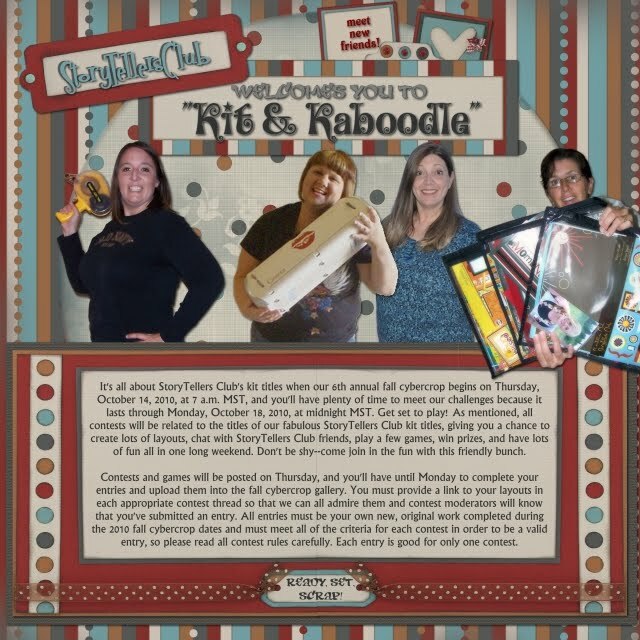 My friend Jen is taking me to Salt Lake City in October for the first Provo Craft Cricut Swarm!! It is gonna be amazing! Stay tuned for the latest info from our exciting trip. and have 2 months still up for grabs. These calendars rocked last year!! Survivor and The Amazing Race. 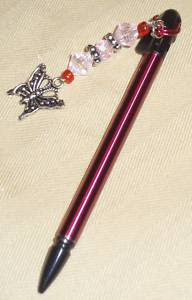 You could win scrapbooking goodies. Check out these really cool Cartridges now available through Creative Memories Only! Contact me today to get your hands on them! Reminisce Accents features over 50 frames and matching borders that are sure to make your layouts great! And Cheerful Seasons has a little bit of everything including fonts. Both cartridges match our new CM line of papers and embellishments.